In our January newsletter we offered one lucky winner a FREE Consulting Resume and Cover Letter Bible from our pool of email subscribers who told us one thing they wanted to know about consulting resumes and cover letters. We also asked them to include what they thought the answer was. There were a few of you who were being super lazy and just hammered through the survey, perhaps expecting that there would only be a few entrants (there were ~200), but most of you put great thought and effort behind your question. Read to the end of the post to see who was the star winner of our world-class Consulting Resume and Cover Letter Bible giveaway. To be included in future offers for free stuff, make sure to sign up for our newsletter here. Just for subscribing we’ll send you our killer Consulting Roadmap — your 61-page personal guide to breaking into consulting. Plus, you’ll be the first to know about our contests and launches! Many of you asked for the magic bullet — that one thing you can do to your resume that will make you stand out among the crowd, make your experience more impressive than that of your competitors, or get you past the resume screen and into the interview room. Well, there’s not just one easy trick you can apply to every application, every firm, and every position you apply to. Sorry! That’s why we’re here. If it were as easy as that, you’d have found the answer by now. Instead, getting your consulting resume right is a complicated formula — a unique blend of your personality, education, and experience matched with the firm’s traits and preferences. However, there are some definite best practices we share that will take you to the next level. We also heard the same question asked over and over in different ways. What did it all boil down to? The optimal consulting resume format. We answer many of your specific questions below, but if you want the whole enchilada, we offer 24 templates in the Consulting Resume and Cover Letter Bible. For a quick read on key format guidelines, you can also check out how to write a consulting resume from scratch. We saw way too many misspellings and grammatical errors! We were surprised at how few of you took the time to write full sentences and make sure your grammar and spelling were correct. Now, we realize this wasn’t a grammar contest, but it reminded us of how easily some of you disqualify yourselves! 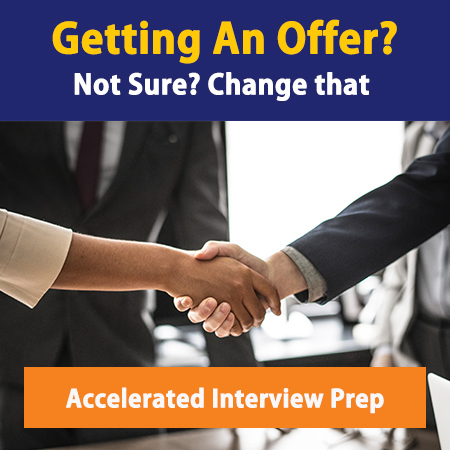 Every part of your application–resume, cover letter, fit interview answers, case interview responses, email exchanges–will be evaluated for 100% accuracy and professionalism. If you can’t write a clean, readable sentence, you’re never, ever, ever going to make it past the resume screen. As such, if you made an error in your submission, you were immediately disqualified. If your entry is any indication of your writing style, please, please come to us for help on your consulting resumes and consulting cover letters! If you’re unfamiliar with the zero tolerance rule, read more about perfect grammar in our key resume errors post. If you know you’re horrible with grammar and writing, have at least 2 other people review it for correct spelling, etc. Even if you’re a whiz, it’s still a good idea to have another set of eyes review your consulting app materials before submitting. Here’s the first set of consulting resume questions that we got from the giveaway competition. We’ll publish more in the coming weeks. If you have similar questions, comment below or feel free to email us! Here, we definitely disagree with the majority of career offices out there. An objective section is not necessary–it’s obvious why you’re applying (you want to get the job). Use your cover letter to explain any specifics on why consulting is for you. Personal profile? Yes, and especially for experienced hires, but only if by “Personal Profile” you mean a few high-level bullets or a short summary (no more than 3-4 lines) of your core competencies at the top of your resume below your name and contact information. Please don’t send the firms a huge paragraph — you’ll get scrapped in a flash before they even get to your experience. As a consultant, you need to be able to prioritize–that means no matter how much education and experience you have, you need to be able to present it in a 1 page resume. We have a whole section in the Resume and Cover Letter Bible on the tricks we use to fit your Resume/CV onto 1 page — legally. For firms at which you have progressive experience in different roles, use just 1 line for the firm name/location (you don’t have to re-state it) and use your second line for position and dates. This shows promotions (which are great indicators that you’re a valuable employee) and increases in responsibility in a way that catches recruiters’ eyes. When you’re at a loss, experiment with smaller margins (0.5″), smaller fonts (don’t go below 10), and character/paragraph spacing options. Just wanted to drive the point home, in case you missed it! This is especially true if you are applying through any on-campus process. 2 caveats — if you are a Ph.D. or have 8+ years of professional experience, a 2-pager is allowed but the second page should almost be forgettable (include publications, presentations, and old work experience). In addition, advanced degree holders and experienced hires in Europe have more leeway. That’s a good approach. We agree — and see above when it comes to 1 vs. 2 pages. As a general rule, do not include anything from high school. There are exceptions, but they are few and far between. Read more about what to include and how to structure your resume in writing your consulting resume from scratch. Key takeaway — add details from class projects, your thesis, extracurricular leadership, or even volunteering. Yes, this is along the right lines. You want to hit on the key components of your education AND any relevant training/qualifications you’ve acquired, but you won’t put them all in your “Education” section. The others, which are more for the lens of a computer screen than the eyes of a recruiter, can live in your “Personal” section at the bottom under skills. If you need to cut something out, drop when you qualified — just the fact that you did is what’s most important. Again, in general no high school information belongs on a professional resume, but in this case, it might be okay–if you think the recruiters and consultants reading your resume will recognize the school – -that is, if you’re applying in your home country. However, it shouldn’t take up more than 2-3 lines in your education section. Reserve your space for more recent accomplishments, extracurriculars, leadership activities, and results. In terms of whether or not to make it obvious that you’re from another country, it’s okay as long as you focus on your ability to speak, read, and write in English. Again, if you’re applying in the U.S. but have your high school on there, it doesn’t belong because it won’t give the “wow” factor you are looking for. If you have 2 majors, you can either list GPAs separately or combined. Choose whichever gives you a stronger academic presentation. You do, however, still need to include your overall GPA — just put it last in the list. Only if you haven’t done anything impressive in college would you include this — and yes, you would include it under your college section or in the “Personal” section at the bottom. Even as high school finalists in the Math and Physics Olympiad, this experience wouldn’t be impressive enough to include in your resume if you’ve built on your success in college — and top 500 (while maybe impressive in some circles) doesn’t say wow like “winner” would. Great idea, and we hope you’ll use us. But if you’re already working with someone or you are in the market, be sure you find someone who has experience with consulting-specific resumes, not a general resume builder or career guide. Read more about why this is important in our key resume errors post. Most importantly, you’ll want to remove technical terms from accounting and focus on client results — which name-brand clients did you serve? How much money did you save? How did you help their business grow? – as well as skills you employed. Which financial models did you build? What research did you do? Both work experience and school club activities, when they have some meat to them and when presented in the right light, can be huge boosts to your resume. In fact, it’s imperative that you have some — and the more substantial (President of your class, Captain of a DI sports team), the better. Your work experience is more important, but this is still critical — firms want to see that you’re a top performer in every situation. If you have a question about whether or not to include an extracurricular activity, an award, etc., email us! Volunteer work, especially when you’ve held executive positions in the organization, is amazing experience to include on your resume. Either add it into a “Leadership” section if you have enough space, or add it at the end of your resume in your brief “Interests/Hobbies” section. Not necessarily true, but having an internship related to consulting or finance will significantly improve your chances at getting an interview. Otherwise, working for a name-brand firm (Fortune 500), global non-profit, key research role or in a top entrepreneurial environment can all qualify you — just make sure you convey that the role was competitive (and get an offer to return to show that you were successful there). How many internships are we talking about here? Two or ten? If you have too many to include (3+), then yes, stick to the ones most relevant to the position you’re applying for and include only the ones that are the most recent (in the last 2 years). Firms definitely have their scoring systems, and usually an alum from your school is the one to look at your resume in more depth, once you’ve passed initial screening. In general, if a firm recruits at that school (meaning that it’s a target school), the school will rank the highest in the review process even for experienced hires. GPAs need to be above 3.5. Leadership experience is a must. And brand name work experience is a huge bonus — not necessary, but a major differentiator. We have a whole section in the Consulting Resume and Cover Letter Bible where Jenny Rae gives her insider perspective on the resume review process at Bain. You need to be smart about how you treat gaps in your work history. If the gap is shorter than 6 months, it’s sometimes better to downplay it and completely leave it off. However, if it’s longer than 6 months, you’ve got to have a really tight answer on what you were doing during that time — globetrotting, volunteering, etc. — and many times that needs to be reflected somewhere on your resume. Sorry to hear you haven’t made it yet, but you’ve come to the right place! For the most part, firms want to see a standard resume without the glitz and swagger of a circus pony. That said, content and layout, or presentation, are both extremely important. If your resume looks beautiful but doesn’t say much, you’ll be hard pressed to make it to the interview round. Similarly, if you’ve got great experience but you’ve presented it in a way that makes your resume virtually unreadable, your resume will find its way to the rejected pile. It’s possible that you aren’t making the cut for another reason — maybe you’re just not qualified, or you haven’t done any networking prior to dropping your resume in a black hole. You should check out our Networking Bible to increase your probability of success dramatically. We get a little more into creativity in the next question. Creativity is great, to some extent—there are definitely mistakes to avoid when “getting creative.” Giving the sense that you’re unpredictable is not welcome, and you have to remember — the MBB firms are looking for the same skills. In general, you only need to worry about customizing your resume when you’re applying to jobs with dramatically different skillsets or interests required (non-profits vs. investment banks). Otherwise, leave all customization/personalization to the cover letter (and networking, of course). Are you still feeling stressed out and lost about your consulting resume? Is your head going to explode with questions about how to make your resume stand out? Want more insight into the candidate selection process at MBB firms? Check out our Consulting Resume and Cover Letter Bible –– 98 power-packed pages, including 24 easy-to-use templates, to take your resume and cover letter from good to great! Stay tuned for the rest of the series — coming your way throughout the month of February!